A poker pro like Dish Network Chief Executive Charlie Ergen knows it’s possible to win without the best cards. His hand may be getting weaker, however, as the cable and telecommunications industries consolidate rapidly around him. 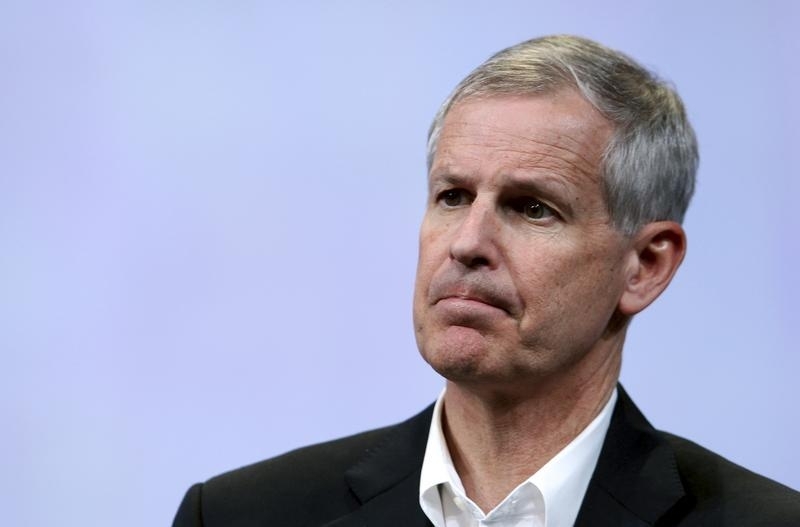 Ergen would be making a bold bet by merging his $35 billion U.S. satellite operator with similarly-sized wireless provider T-Mobile US. Investors may want to guard against a bluff. It makes sense the two companies would be talking to each other, as the Wall Street Journal reported they were doing on Wednesday. With the likes of Charter Communications and Time Warner Cable seeking to unite, Dish will have an even harder time competing with pay-TV, though not high-speed internet. Rival DirecTV is also poised to merge with deep-pocketed AT&T. Meanwhile, T-Mobile US under CEO John Legere has been stealing customers with price discounts in a saturated smartphone market. What’s more, Ergen has been accumulating radio spectrum for years. At a U.S. government auction in January, Dish won more than 700 licenses worth over $13.3 billion, second only to AT&T’s $18 billion haul. The CEO has kept his plans quiet, but he needs to use the spectrum before an Uncle Sam-imposed deadline in the next couple years. It’s not clear Dish has the capital to develop a wireless service or why it would enter a cutthroat four-player field. Word of the negotiations may pique Verizon’s interest in Dish spectrum. Google has also been moving into broadband and could be a suitor. Any Dish and T-Mobile US deal, though, would be tricky. Deutsche Telekom controls T-Mobile US, probably necessitating a messy three-way ownership structure. Potential differences in the value of the two U.S. companies’ spectrum could make price negotiations sticky. And it’s hard to imagine two mavericks like Ergen and Legere working together. What’s clear is that Ergen has a good poker face. He interloped in a Clearwire deal but lost to Sprint Nextel. He also anted up when Sprint went on the block, eventually folding against Masayoshi Son’s Softbank. More than $3 billion of combined market value was created on news of a possible Dish and T-Mobile US merger. Those are high stakes in a game so hard to read. U.S. satellite TV operator Dish Network and wireless provider T-Mobile US are in talks to merge, the Wall Street Journal reported on June 3, citing unidentified people familiar with the matter. Dish Chief Executive Charlie Ergen would become chairman of the combined company while his counterpart at T-Mobile would be CEO, according to the report. Dish shares gained about 6 percent in early June 4 trading while those of T-Mobile US, which is majority owned by Deutsche Telekom, were up more than 4 percent.